Three very different types of recordings, yet connected in an abstract way. Three very different types of recordings, yet connected in an abstract way. There’s no elegant entry into this other than to jump right in. 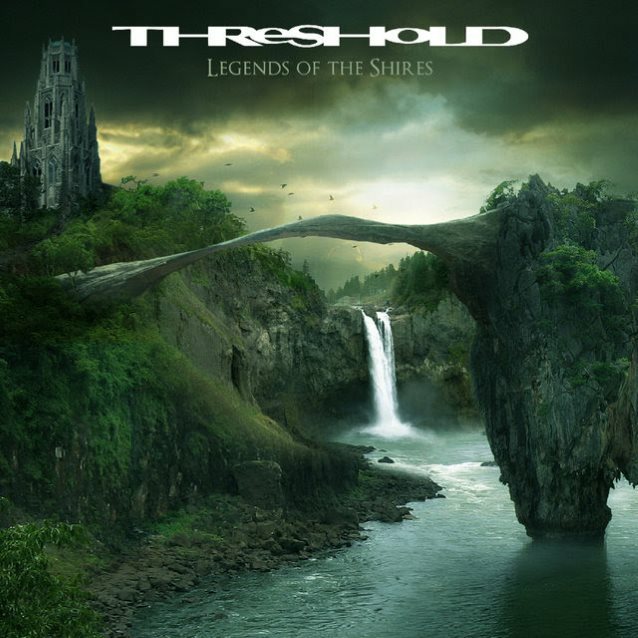 Prog-metallers Threshold have been around for some time and have had three distinct eras, defined by three distinct vocalists. These eras, however, are non-linear. The first found the band fronted by Damian Wilson for the album Wounded Land. Then Wilson departed and vocalist Glynn Morgan stepped in for Psychedelicatessen. Wilson returned for third album, Extinct Instinct. The third era found Threshold with lead singer Andrew “Mac” MacDermott. In 2007, after the release of the fifth official studio album with him, Dead Reckoning, Mac and Threshold went their separate ways. How significant to the new record is this constantly shifting, then reverting, personnel change? Not much, provided you have just landed upon Threshold now and are experiencing them for the first time. Your first impression through Legends of the Shires will likely be very positive. It is a solid collection of songs, hung together as a concept album, 2-CD form, which shows of tons of proggy prowess. Despite the concerning album title, the record is not as thorny as, say, Judas Priest’s Nostradamus or Dream Theatre’s The Astonishing. This happens on numerous occasions with the record, and after a while it became tiring to identify inadvertent duplication. Worse, this does a disservice to Morgan who is a fine vocalist, yet I was still wondering about how Mac would have handled things. Mac had the combination of prog rock drama and hard rock firepower that suited the group very well. Morgan tends to be more dramatic, lacking that added burst of excitement, but I prefer him to Wilson who — and, let me preface, this is meant in a complimentary way — is very theatrical. He always struck me as more appropriate to Andrew Lloyd Webber than (Karl) Groom and (Richard) West, guitars and keyboards, respectively. Another thing that hobbles this new album is that it is so serious, so very, very serious. It’s a fatal pill for lots of progressive rock, but I feel that if you insist on taking the listener through a thematic journey that spans more than 80 minutes, you better build in some levity, even if it is the most trenchant of black comedy. “Destiny” and “dreams” and “self-revelation,” all wrapped up in a heavy-handed canvas, are bound to feel overwrought if there’s nothing to ground them to or contrast them against. New listeners could really come to love Legends of the Shires, despite the sense the band has taken it all way too seriously, but I feel like the older fans are going to hear too much that’s too familiar, and not be able to avoid the feeling that it could have been handled better then than now. 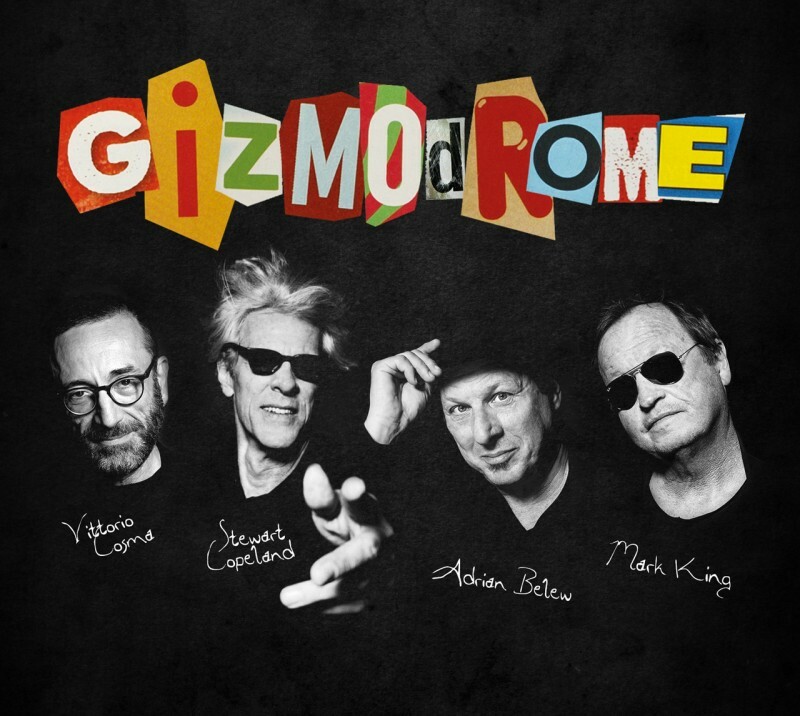 This brings us to the supergroup Gizmodrome, the gathering of talents keyboardist Vittorio Cosma (PFM), bassist Mark King (Level 42), guitarist Adrian Belew (King Crimson, David Bowie, Frank Zappa, Talking Heads, and on), and drummer Stewart Copeland (film composer and drummer for The Police). When these four are going at it with the high level of musicality that each contributor possesses, the record is kind of inspiring…and then Stewart Copeland sings. The album seems to be, in fact, a showcase for Copeland’s vocals and lyrics, as he is the principal lyricist. Had this been a looser, less-accomplished group of individuals, it probably would have worked. Copeland is having fun and not taking himself too seriously, but this is not a fun record to listen to. Much like the Threshold album, you are left wondering what might have been. I get what (I think) is going on here. Copeland seems to be imagining a framework where very high-level musicians jam out some wonderfully ropey sounds with a sort of mad scientist at the helm, not unlike a modern-day Frank Zappa conducting his brand of insanity. But Zappa understood modulation, from whispers to goofball sing-song, and most importantly, he understood his limitations and would frequently let others carry the water when he couldn’t (or wouldn’t). To classify Gizmodrome as a vanity project is unfair because I definitely believe it began with that Zappa mindset. It is just that, eventually, when everything started hanging together so well, Copeland should have had the insight to say, “This is going to an unexpected place, but it sounds like a good place. Maybe we need to recalculate.” Had that occurred, “Zombies In The Mall” might have been saved from its present fate. I was more than excited when I heard about the formation of Gizmodrome. Some of my all-time favorite musicians were coming together to provide a unique experience, and they succeed, up until the words begin and one wishes Copeland had taken things a bit more seriously. Straddling the two extremes, roots-rockers Kat Myers and The Buzzards offers the E.P. 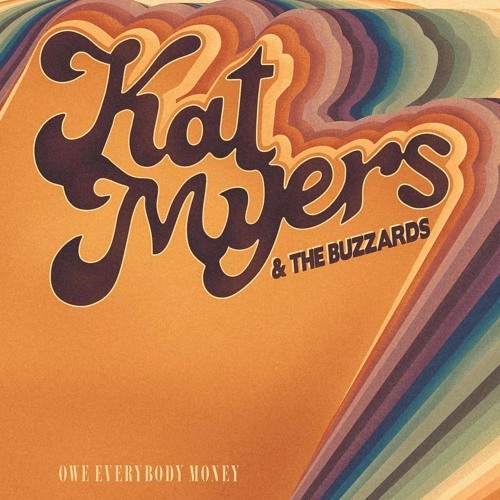 with the official title Kat Myers & The Buzzards Owe Everybody Money. Myers voice is a pleasing intersection where Aimee Mann and Natalie Merchant collide with equal parts roadhouse and street-corner busking informing the tunes. “Under The Rug” mixes rock directness with southern accents in a way not too dissimilar from Dents and Shells-era Richard Buckner. “The Things I Love” moves from a rollicking strum to a reverb-laden heavy rocker, then morphs back into the congenial crowd-pleaser it started off as; an odd but effective Jeckyll-and-Hyde of a tune, but it works from start to finish. Myers and company allow the occasional lightheartedness to accent the songs, not mire them down. The tracks about social and relationship dysfunction are not dark ruminations that demand you pay attention because this is serious. They are more like camera phone snapshots of vignettes that remind us that, at heart, we’re all kind of screwed up. In this, I was able to come away from …Owe Everybody Money with a degree of mission fulfillment I did not feel from the two previously mentioned recordings. You can make good points about the romantic condition and the human experiment without sounding either Biblical or swamped by your own sarcasm.